I met a man who wanted to get rid of 100+ antique mason jars that had been sitting in his barn for years and years. I brought them home and had a (not) fun time cleaning them all. I was planning on re-selling them, but of course I wanted to keep some for myself. They all had their original zinc lids, which I think is the best part about them. 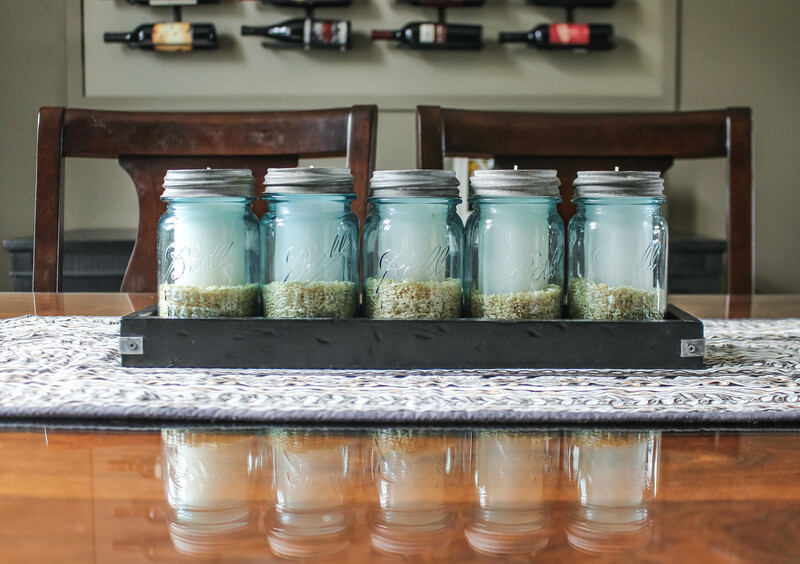 I wanted to create a centerpiece for my dining room, and after browsing Pinterest for some inspiration, I came up with this. 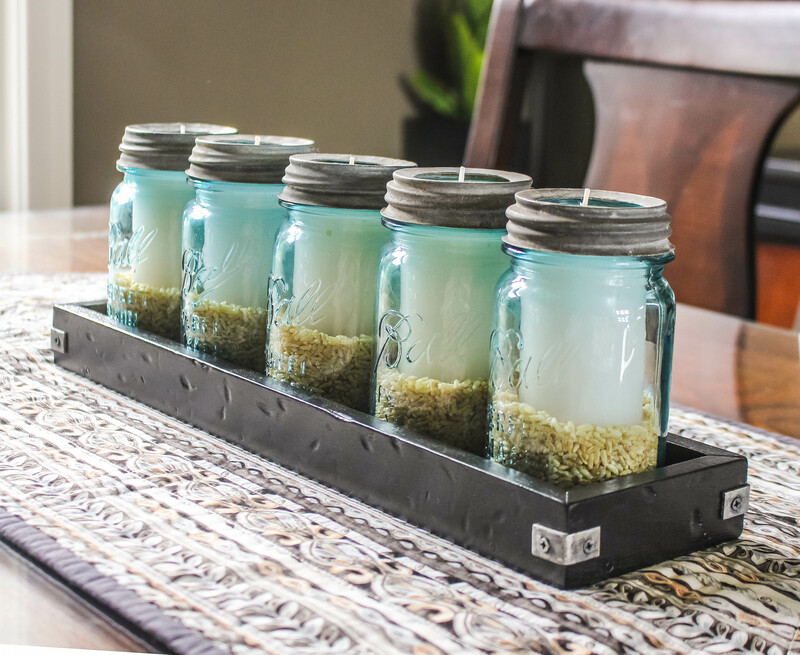 I used the smaller pint sized jars for this project. The ball jar zinc lids have a milk glass insert that I needed to break out first with a hammer. I am sure there is an easier way to cut a hole in the top, but I just used a screw driver and hammer and punctured lots of little holes in a circle until it popped out. Then I gently tapped the sharp metal edges of the hole to the inside of the lid with a hammer so that it is smooth and no one will get cut. 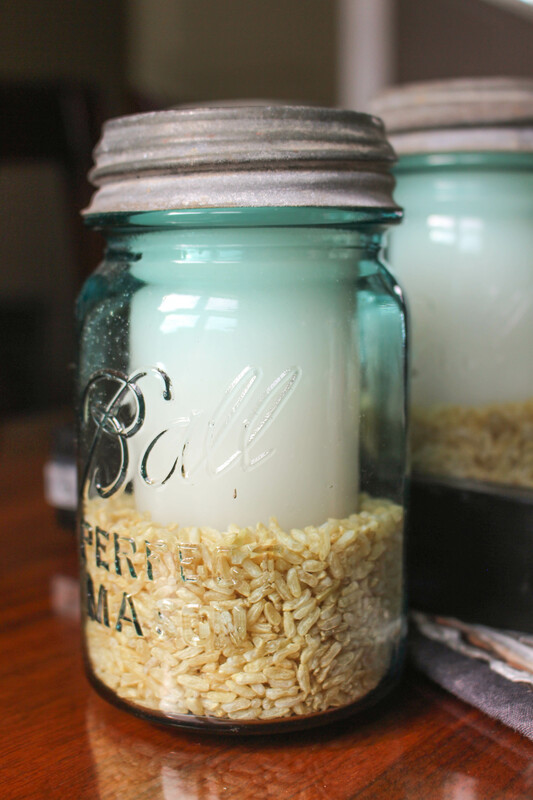 I found simple white candles to fit the jar and filled up the bottom 1/3 with brown rice, screwed on the lid and done! 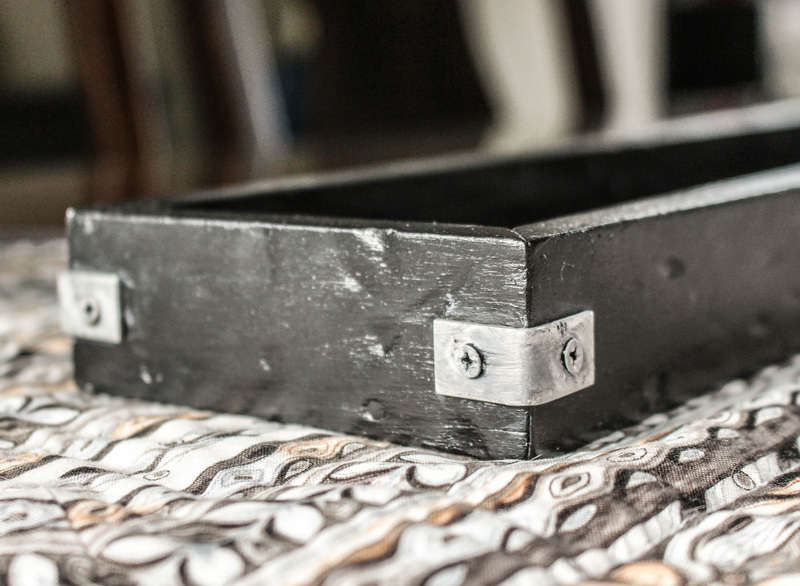 The little wood tray I made with scrap wood. I just used a hand saw and miter box to cut and then wood glue/finishing nails to hold it together. I thought it would be a good idea to distress it by beating it with a chain. I had seen it done on TV before and wanted to try it. Well…I wasn’t thrilled how that made it look but I wasn’t going to re-make the box so I pressed onward. I painted it black and put metal brackets on the corners. 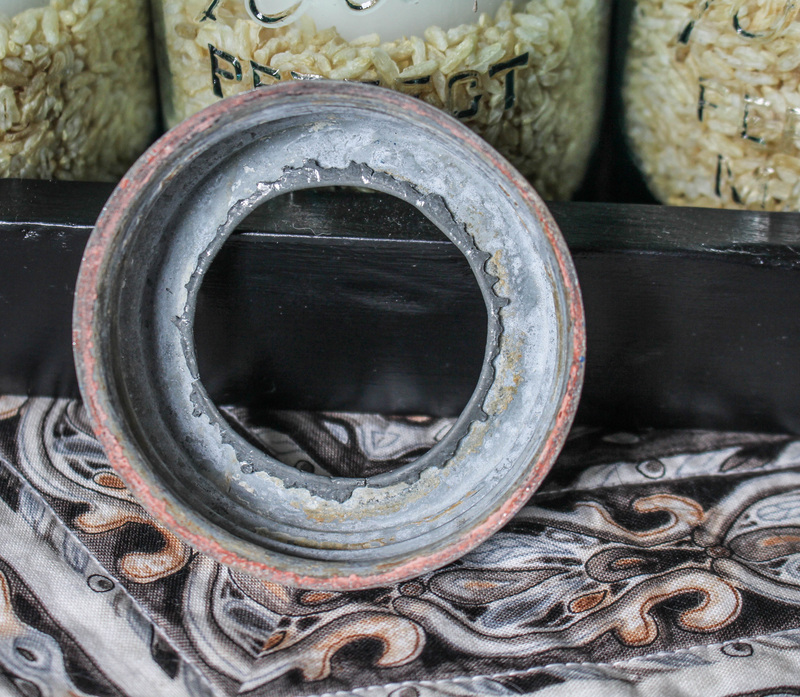 The brackets were a shiny silver which did not look right with the zinc mason jar lids, so I used some paint to give it a faux finish by carefully dry brushing various shades of grey on. It would be so easy to change up the centerpiece by adding pebbles, pinecones, or whatever you want! Oh my gosh is this great! I live in an old farmhouse and this would look incredible on my dining room table!